But will Sony be on board? Microsoft has announced that it is enabling cross-network play for developers, which would allow Xbox One owners to play against people on PC networks and other consoles. ID@Xbox Director Chris Charla announced on Xbox Wire that Microsoft is offering up a bunch of new tools for developers, chief of which could open the door for multiplayer with PS4 players. 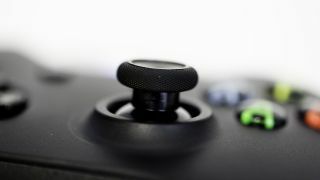 "Of course, it's up to game developers to support this feature, and Xbox Live players will always have the option of choosing to play only with other Xbox Live players," said Charla. "We're thrilled to confirm that Psyonix's Rocket League will be one of the first games to take advantage of this new capability by enabling cross-network play between Xbox One and PC players, with an open invitation for other networks to participate as well." Obviously the potential for any cross-play between Xbox One and PS4 depends on Sony, but there's a good chance we'll see developers on the Steam platform making use of the new tools. We've asked Sony for comment on where it stands.